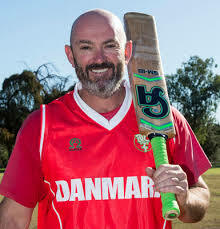 Danish coach Jeremy Bray has extended his contract with the Danish Cricket Federation, and will take on additional responsibilities. The 45 year-old has enjoyed a successful spell with the Danes, and this extension is a reward for his work to date. "Jeremy Bray has extended his contract with DCF, and along with his role as Head Coach Senior and Junior Pathways, to include creation and running of coaching courses fitted to the Danish culture, head up coach development & oversee Elite coach development." Bray was capped 83 for Ireland between 2002 and 2009, and was a pivotal figure in their 2007 World Cup campaign.